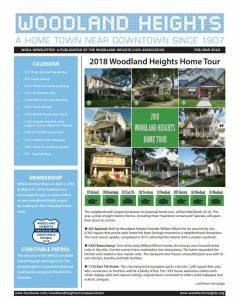 2018 Woodland Heights Home Tour is March 24-25th. Spring time in the Heights brings out flowers, joggers, and the 2018 Woodland Heights Home Tour. It is March 24th & 25th, with a special preview available the Friday before. Find out more about this neighborhood on my Woodland Heights page. 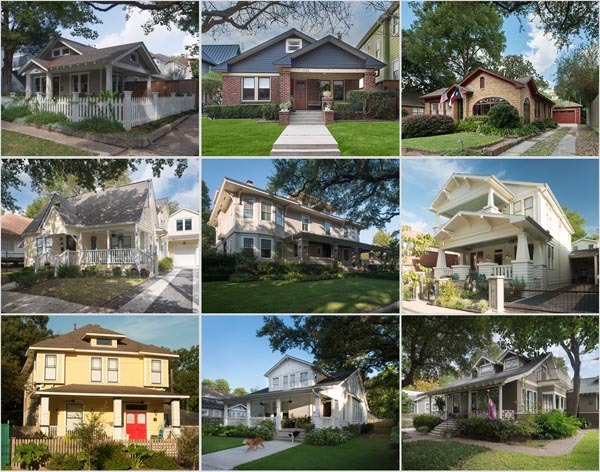 Home styles, prices, etc, for this 1907 Heights neighborhood. The homes on the tour are shown below: from bungalows to the grandiose. The tour costs $25 if pre-purchased; $30 day-of. If you hate crowds, pay $50 for a Friday evening tour. If you want to attend a party and a preview tour, spend $100. Purchase Tickets from WHCA here. This “Fresh Traditions Tour” features three “teardown turnaround” homes. Homes that were destined to be demolished, but were saved by some very brave, daring individuals. 500 Teetshorn had a unique renovation process. Instead of building up, this single-story home was raised high enough to build a floor underneath. Each home on the tour had it’s own complicated story. All part of owning an old home. Get a sneak peek! The annual preview party is set for Friday, March 23. Partygoers can skip the lines and enjoy wine and cheese at the featured homes from 5:30 to 7:30 p.m. followed by the party at Janeen Cook’s original William Wilson home, 530 Byrne, from 7 to 10:30 p.m. Tickets are $100 and include homes (entry good all weekend) and party featuring libations, heavy hors d’oeuvres, music, dancing and more. Stay tuned for more exciting details! Get more info on the Home Tour here. Get ALL THE HOME TOUR DETAILS in the Woodland Heights Newsletter, attached below. It tells the story behind each home on the tour.